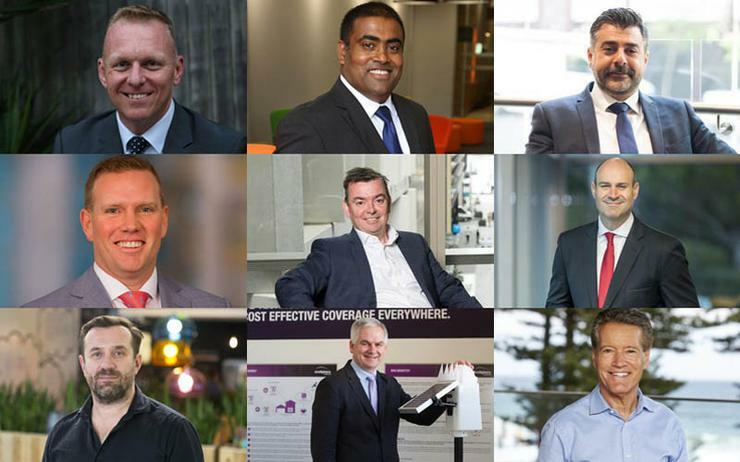 More than 30 technology providers were acquired in Australia during 2018, as part of a buying frenzy amounting to over $300 million. With channel ownership swapping hands on a seemingly weekly basis, the transactions point to an industry in transition as executive leaders pursue growth and consolidation strategies in equal measure. And while the $315.5 million spent appears a hefty price tag, the total figure stands to be much higher given that not all companies shared the value of their acquisitions. Such market change aligns with recent ConnectWise findings, which states that 70 per cent of MSPs are expected to explore buying, selling and merging options within the next five years. But Australia is not the only nation engrained with an M&A psyche, with over 60 transactions recorded globally on ARN pages during the past 12 months alone. In a standout case during 2018, AC3 finally received approval to complete the $24.7 million acquisition of Bulletproof in May, following a bidding war lasting months with Macquarie Cloud, who was the first to table an offer. Another acquisition battle was faced by NextDC, which was able to finally buy back the control over some of its data centre locations after months in a share purchase war with 360 Capital Group. Furthermore, ARN was the first to reveal Accenture's plan to acquire Oracle partner PrimeQ, with the $31 million buyout the latest effort by the global system integrator to dominate the Oracle Cloud market. As reported in September, Deloitte unveiled plans to grow its Microsoft Azure integration capabilities through the acquisition of Microsoft partner Mexia, in a transaction which was finalised in October. The purchase of the Brisbane-based partner counted as Deloitte's second Queensland acquisition within a week, after also strengthening its Amazon Web Services (AWS) play through the acquisition of CloudTrek. Maintaining the double header theme, PS&C spent at least $12 million in two acquisitions this year, the first involving Melbourne-based technology consultancy firm Seisma for $11 million, followed by May's buyout of Canberra-based services provider NTH Consulting for $1 million. After a failed attempt to acquire SMS Management and Technology that lasted months in 2017, publicly-listed DWS acquired Canberra-based strategic management and IT consulting firm Projects Assured for $43 million. Meanwhile, Over the Wire made a double acquisition worth $29 million, with Adelaide-based Access Digital Networks and Comlinx bringing on-board 350 customers in the process. Other key highlights during a year of M&A included Citadel Group's acquisition of the government business of technology agency Gruden for $1.65 million and the approval of Sargon Capital's $5 million acquisition of Decimal Software. There were also acquisitions of some local companies performed by global technology providers including Civica's acquisition of Victoria-based Icon Global Solutions. Maintaining this trend, DXC Technology acquired Australian Oracle partner M-Power Solutions and Salesforce partner System Partners, while UK-based AWS consulting partner Contino made a local move for Nebulr. But there were also Australian companies acquiring overseas businesses such as MNF Group's acquisition of Singaporean telco Superinternet for S$2 million and JCurve Solution's buyout of Singapore-based Spectrum Partner Group. Furthermore, Australian telecommunications provider Pivotel Solutions acquired New Zealand-based mobile satellite communications provider Wright Satellite Connections (WSC) in a multimillion-dollar deal, with LiveTiles acquiring US-based Hyperfish for $8.9 million. Other acquisitions included Ventra IP acquiring On A Cloud, SpiderWeb Hosting, Boot Domains and Summit Internet; Nexion Networks buying colocation provider Site2 DC and Mittoni Technology buying fellow distributor Rectron Electronics. Delving deeper, Leader Computers acquired Harris Technology's wholesale and distribution business Anyware Corporation, 5G Networks acquired Inabox's direct business; Thomas Duryea Logicalis bought Melbourne-based CNI; Optus scooped up Australian start-up Hivint and GPK Group took control of the assets of Adelaide-based Geek. From a global perspective, some of the most talked about acquisitions taking place in 2018 included Atlassian's acquisition of incident management firm OpsGenie for US$295 million. IBM also announced plans to acquire open source specialists Red Hat, in a blockbuster US$34 billion deal designed to bolster the tech giant's hybrid cloud capabilities. After this, Big Blue decided to offload software to India-headquartered HCL Technologies in a US$1.8 billion deal - both companies have an ongoing IP partnership for five of the seven products. Headset vendor Plantronics completed the US$2B acquisition of unified communications provider Polycom while a busy Hewlett Packard Enterprise acquired Plexxi, BlueData and Cape Networks. Unsurprisingly, Cisco was even busier through the acquisitions of Ensoft; Duo; July Systems; Accompany and Skyport Systems. Rounding off the list, Symantec bought Appthority and Javelin Networks, in addition to Microsoft acquiring Semantic Machines and Xero taking control of Hubdoc in a NZ$5.7 million deal.